W. Ray Rutngamlug is a partner in the Corporate Practice Group in the firm's Washington, D.C. office, advising clients on a wide range of transactional and regulatory communications related matters. Ray's practice focuses on the negotiation of a broad spectrum of communications service agreements, including for providers and large-scale users of communications services. Ray regularly assists some of the nation's largest cable MSOs in drafting and negotiating agreements for access to utility poles and other facilities necessary for the provision of voice, high-speed internet and other next generation communications services. Ray also has considerable experience advising communications providers on a wide range of commercial matters including the sale and provision of voice and data services to other communications companies, enterprise communications users, and federal and state government agencies. 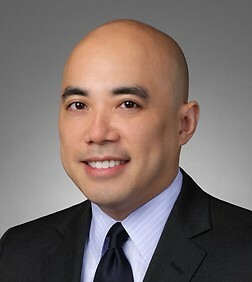 Prior to joining Sheppard Mullin, Ray served as corporate counsel for a tier 1 Internet service provider and competitive local exchange carrier, where he provided legal counsel for the company's enterprise, wholesale, and content delivery divisions and also practiced law at major Washington, DC law firms, advising wireline, wireless, broadcast, and broadband service providers on a wide variety of corporate and regulatory matters, including involvement with regulatory proceedings before the Federal Communications Commission and state regulatory commissions, and commercial and corporate transactions.